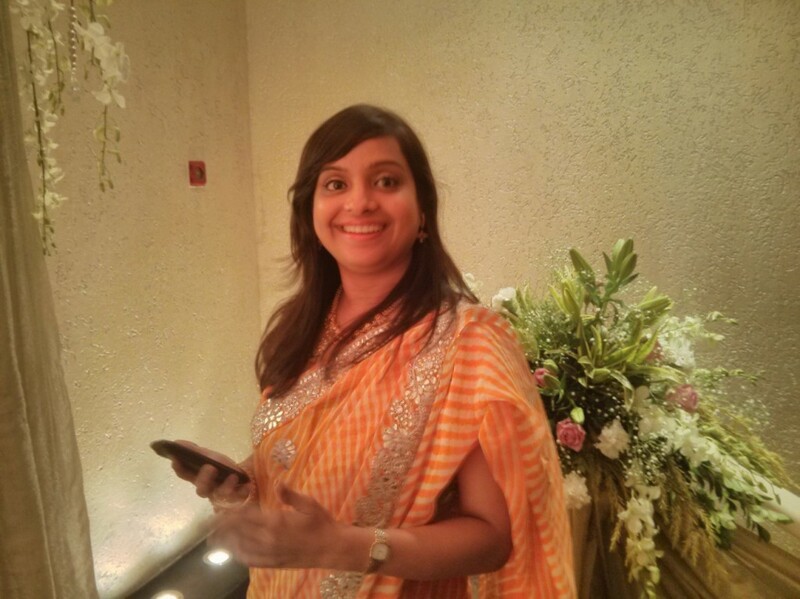 Earlier this week, I headed for a 60-minute massage at Sukho Thai in South Mumbai. I had done a lower body workout that morning, so I knew my legs could do with some R&R. The serene atmosphere in the reception area helped me forget the chaos outside. After I changed into super-duper comfy pyjama set (I wanted to steal it! ), the masseur led me into the massage area. With calming music and dim lights, I eased into the massage chair, and left everything into the hands of my very skilled masseur. The massage began with a foot soak in lukewarm water. Then as the masseur worked his magic hands with oil on my feet, ankles, calves and shins I felt the tension melt away. Next he pressed the right spots to release my quads and stretched my legs to open the hip muscles and hamstrings (we all have tightness here but don’t know it). Then we moved to the upper body. The masseur hit the right spots pretty hard to ease out my neck area, stiff due to my weight training and long laptop hours. Then the masseur guided me through shoulder and back stretches, which were pretty intense. For people not used to yoga or deep stretches, it could be bit of a surprise (I didn’t have any issues though). And then, it was all over. I enjoyed the last few moments of the delightful Sukho Thai experience with a bowl of fresh fruit and ginger tea. I left super-charged to take on the rest of the day. For me, the real test of a massage is how well I sleep and how I feel the next morning. The massage at Sukho Thai passed my test with flying colours. I slept soundly and woke up without any stiffness. After a cardio and abs workout the following day, I left the gym feeling like I hadn’t worked out at all. As I write this, I feel more energized than I have in months. 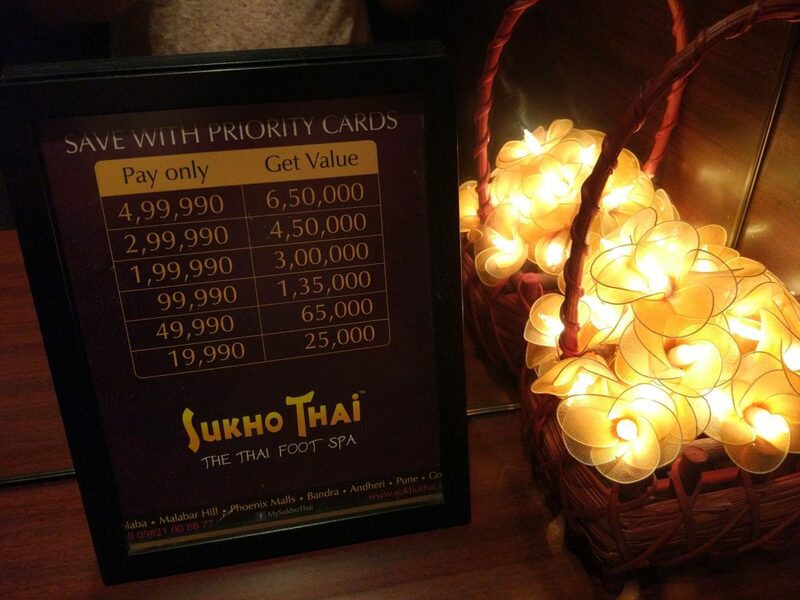 The 60-minute aroma massage at Sukho Thai is Rs 1890 (inclusive of taxes). 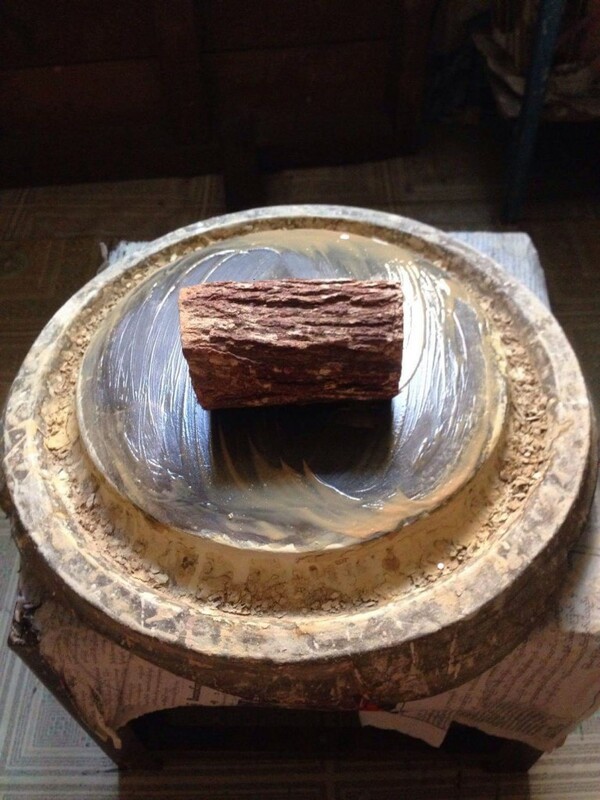 They also have other therapy options such as with hot stones, scrub etc. Visit the Sukho Thai website to know more, or call +919821008877. 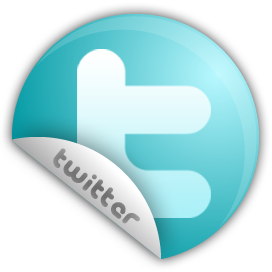 Note: This post is a Chic Promotion. The massage was complimentary but has not influenced my views of the service. 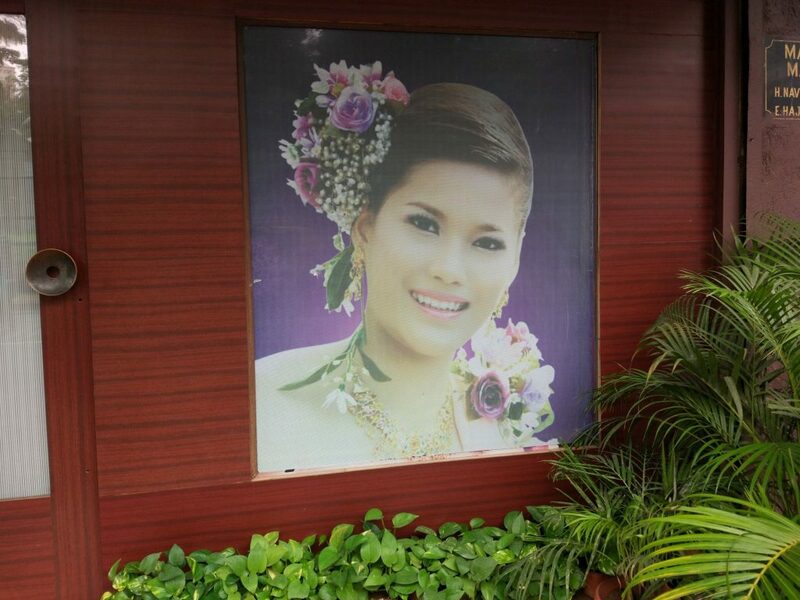 In Yangon (and most of Myanmar) women young and old have gorgeous, poker-straight hair. 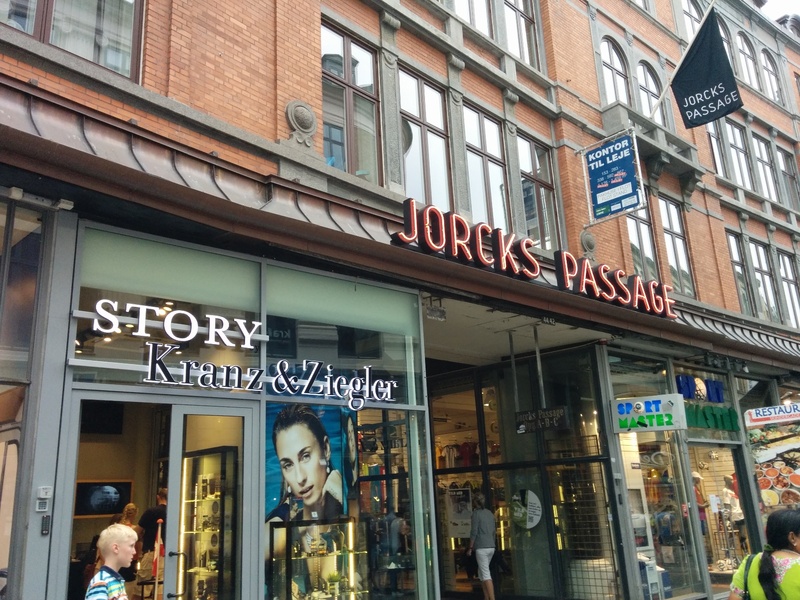 Their secret? Not their genes or diet or combing techniques… But regular trips to the beauty salon. 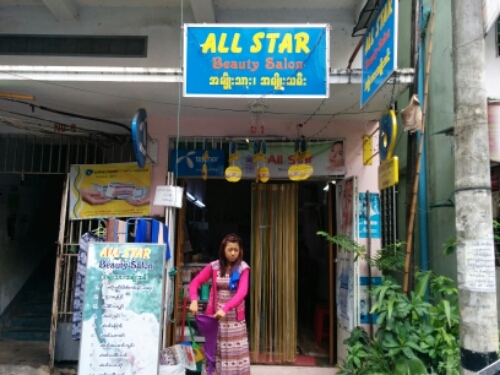 So how are Myanmar women different from women worldwide? 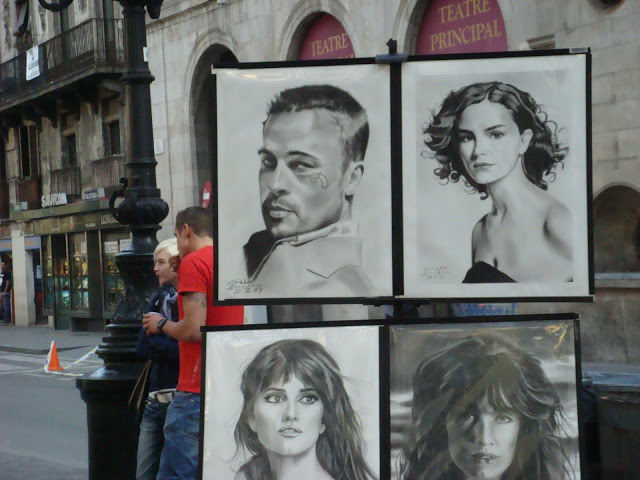 After all, almost every country has a vibrant and thriving beauty industry. Well, for one, it’s the number of visits women make to the salon (to straighten their hair, to colour their hair, to wash their hair, to massage their head, to blow dry their hair, and of course, paint their nails). So salons do brisk business. And then, the sheer number of salons in business. 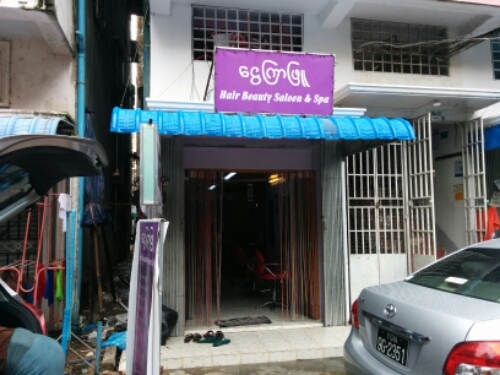 Within just a 60-metre radius around my building, I’ve counted seven beauty salons. (Maybe there are more). 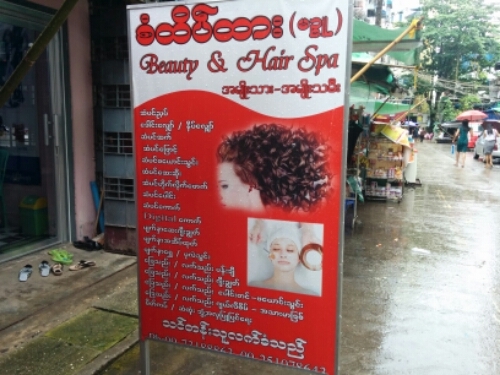 If anyone did a worldwide survey of beauty salons per capita or beauty salons per square kilometre, Myanmar might just win hands down. The salons here often work till late night, staying open even after restaurants shut down! 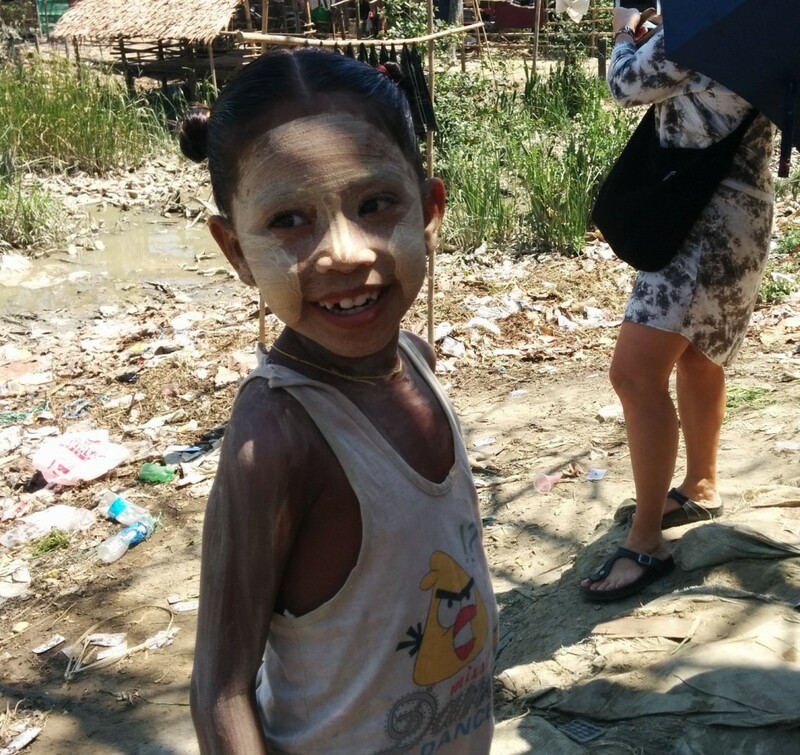 Walking through the streets of Yangon, I see painted faces. Not the kind smiling down from giant signboards advertising vitamin supplements, but real people faces. Painted. Women young and old, little boys and girls and (some) men sport the paint like it’s part of them, as natural as wearing clothes or applying moisturiser. In the sundrenched streets, in the bustling wet market, at the airconditioned supermarket, in packed buses, I see cheeks and foreheads sporting circles and streaks of ochre, like a sort of war paint. 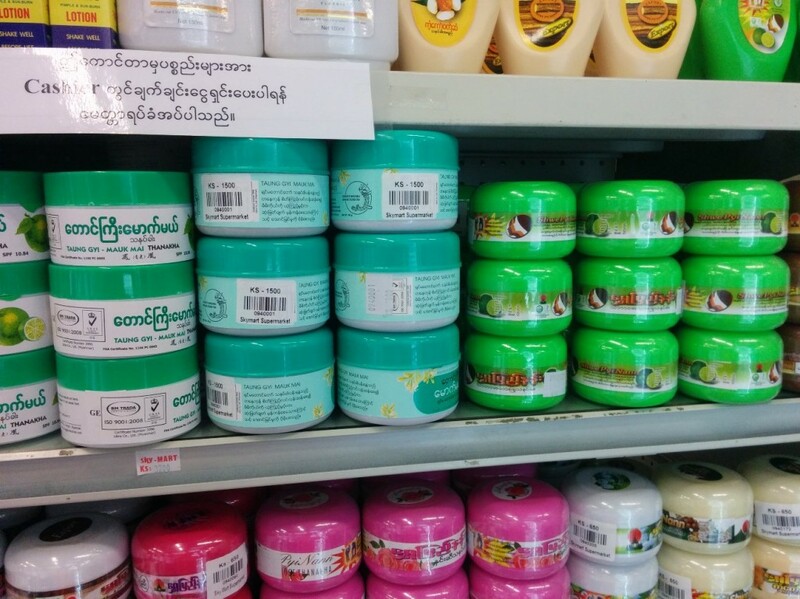 This “war paint” is thanaka or thanakha (pronounced tuh-naa-kaa), and it functions as a potent weapon to protect Myanmar people from the harsh sun. 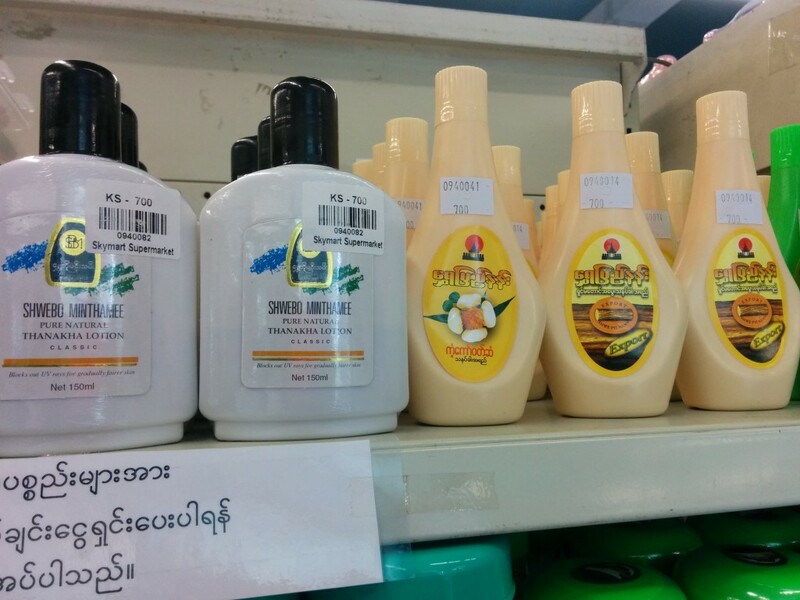 Myanmar folk believe thanaka is a wonderful antidote to the harmful effects of too much sun. It keeps their skin de-tanned, safe and non-greasy. Made from the bark of the wood apple tree that grows across Myanmar, thanaka paste has a gentle fragrance that vaguely reminds me of Indian sandalwood. Market vendors sell chopped pieces of thanaka bark at different prices, based on size. You choose your bark, take it home, and pound it into a paste with some water in a special grinder called kyout pin (pronounced chow-pi-ye). If you don’t own the grinder (like me) or don’t know how to make the paste, you buy ready thanaka paste from the supermarket (like me). It’s less effective than home-made thanaka but still works, according to this experiential feature in Myanmar Times. Take some paste with a spatula or fingers, apply on your cheeks and voila! You’re ready to soak up the sun. 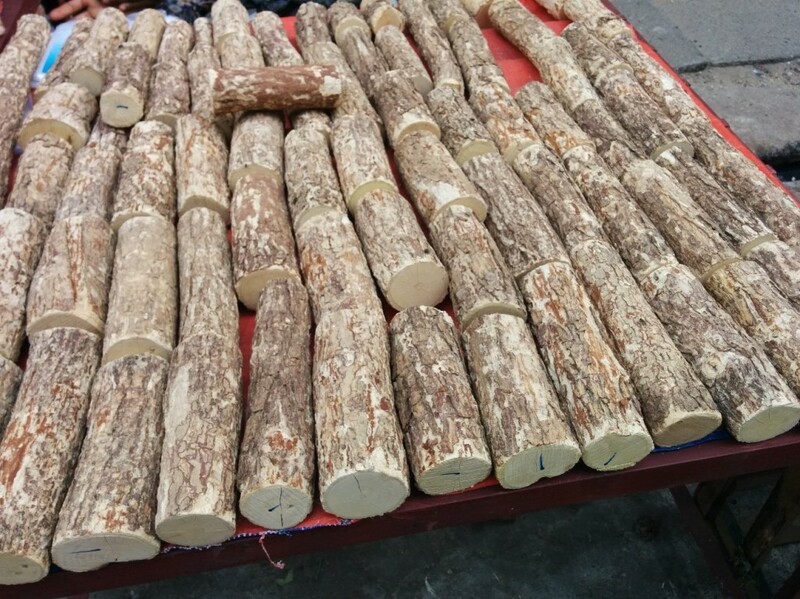 You can also apply thanaka on your forehead, arms or any body part exposed to the sun. Some artistic Myanmar moms paint flowers on their daughters’ cheeks with thanaka. So cute! Thanaka can stay on all day, but I’ve only used it for short periods of time, and my skin feels radiant, soft, bright and fresh after washing it off. Most importantly, I don’t get a post-sun headache and my skin feels cool when I’m in the sun. So yes, I believe it works. And the nearly blemish-free, bright skin I’ve seen on most Myanmar people is proof enough for me. When people ask me what thanaka is, I say it’s sunblock, sunscreen, gentle exfoliator, face pack, cream, all rolled into one. You only need to try it to feel its magic! Our Indian roots tell us that coconut oil is best for hair. And yes, we respect our grandma’s opinion on this, but in this age of consumerism we are spoilt for choice when it comes to hair oils, so what makes one coconut oil different from the other? 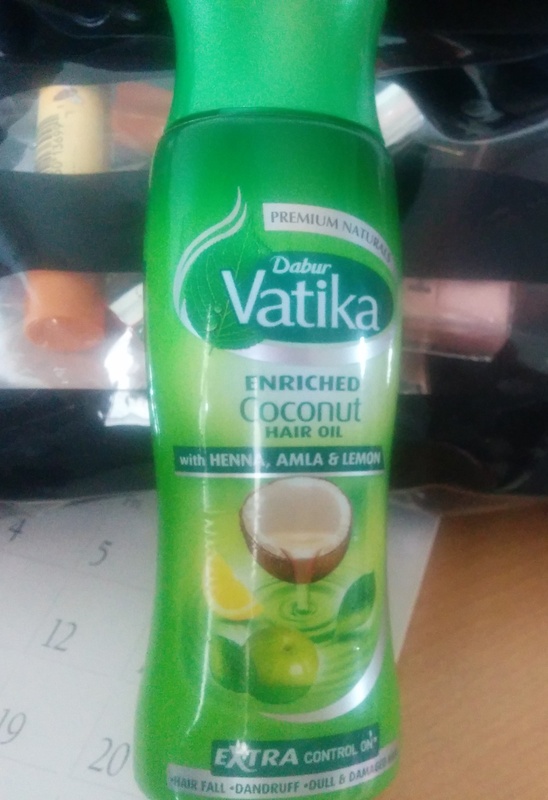 That’s what I set to find out when I tried Dabur Vatika Enriched Coconut Hair Oil. My hair hadn’t been at its best recently. It was weak so I encountered some hair fall, dry as the desert giving me a frizz which I dislike, and there was an itchiness that wouldn’t go away (dandruff ?!). To be honest, I hadn’t really paid attention to my hair in the past few months, other than the regular shampoo-condition schedule. 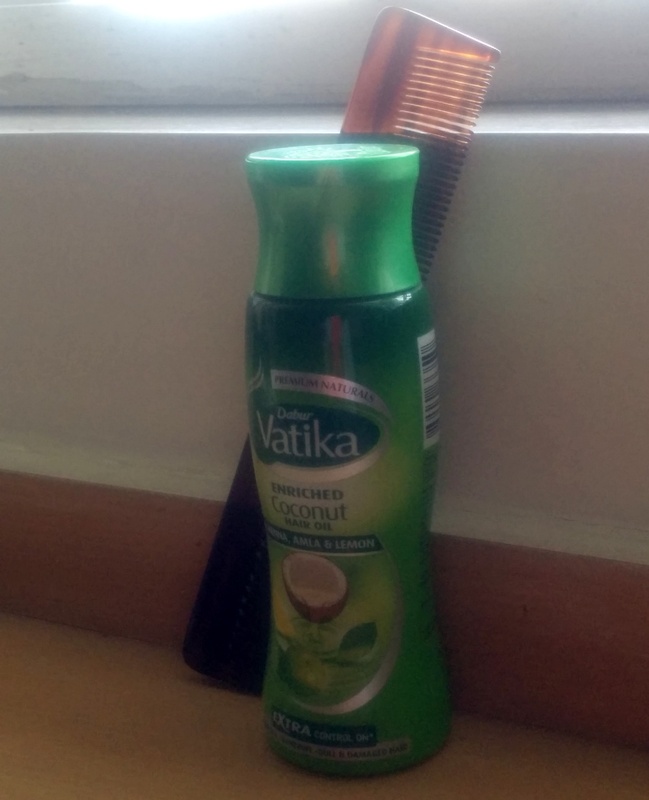 It was time to get on to a good hair routine, starting with Dabur Vatika Enriched Coconut Hair Oil. In just a couple of massages with the coco++ oil, I noticed a difference. My scalp was definitely less itchy and my hair felt thicker and stronger! I noticed lesser hair fall as well. But the most remarkable difference was pointed out by the hubby, who said that my hair looks better than it did a few weeks ago. Then he tried the oil as well, and said it made his hair softer, thicker and shinier. Besides deep conditioning the scalp and nourishing hair, coconut oil is known to promote hair growth. 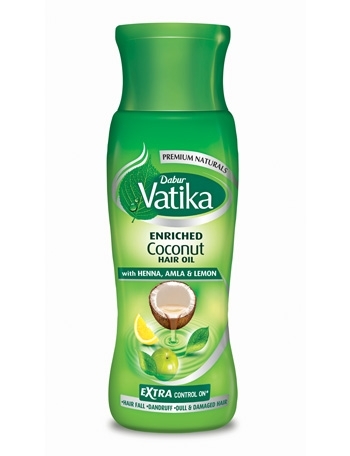 But Dabur Vatika Enriched Coconut Hair Oil goes a few steps further for more comprehensive hair nourishment. It helps deal with hair damage and related issues like hair breakage, hair graying and extreme dryness. The additional ingredients of hibiscus, amla and henna join hands with the coconut to battle dandruff, and other problems like split ends, frizz and hair fall. No wonder this special concoction is not just coconut oil, but coco++. Step 1: I prefer “less oily” hair massages so I usually pour some oil on to a piece of cotton, then apply on my scalp and then massage gently till I’m done with the entire scalp. Step 4: An hour later, I step into the shower and wash my hair with my favourite shampoo. Step 5: Condition and rinse. Step 6: I let my hair dry naturally. Step 7: Barely half an hour later—voila! My hair looks so much better. 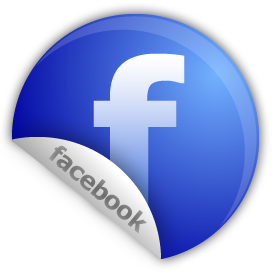 Read more about Dabur Vatika Enriched Hair Oil. No more excuses: Bye bye hair damage! We Indian women love long and strong hair but ever wondered why most women today don’t have the gorgeous tresses our grandmothers had? We all notice the beginnings of hair fall without really registering it. Then it hits us: you’ve barely touched your hair and it breaks, or when you comb you shed hair like a furry dog. And you still keep growing your hair, but that causes more hair fall, because your hair is weak and damaged. Our terrible eating habits (fries, icecreams, cakes! ), all that work stress, the heat and pollution in our cities and harmful chemical-laden hair products are all hand-in-glove to damage our hair and cause hair fall. So you grow and grow your hair till you finally realize your hair ends are mere wisps of straw and it’s making you miserable. So what do you do? Cut it off! Drastic step, yes. But sadly, that’s the truth. A lot of women end up chopping off their locks because of hair damage. Truth be told, long hair looks lovely only when you’ve got healthy hair and no hair damage or hair fall. Frayed ends and split ends look plain ugly and who wants to see innumerable hairs on their comb every day, right? But all this can change. 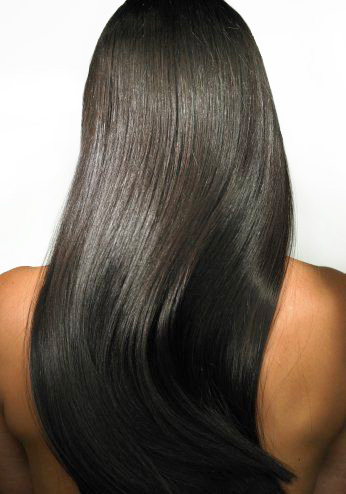 We can have long, strong and healthy hair with minimal damage. Of course, we can’t change our eating habits overnight, move to unpolluted Himachal valleys or stop shampooing our hair for fear of chemicals damaging our hair. The solution is simple: Dabur Vatika Enriched Coconut Hair Oil. Dabur Vatika Enriched Coconut Hair Oil has the right mix of natural ingredients to banish all those hair damage problems. It’s not just coconut oil. It’s also got hibiscus, amla and henna to repair hair damage. So no more hair fall, no more split ends, no more straw-like hair. And no more excuses to cut off your hair. Just long, strong and gorgeous hair. I’ve always been an advocate of short hair for women, especially in the summer, given the heat and humidity. For busy working women, managing long hair can be a stressful task in addition to their daily chores, long work hours and commute. But a couple years ago I started growing out my hair, and long hair has been a good experience! Of course, managing long hair wasn’t easy, especially when it looked dull. Long hair is supposed to look good, no? It’s supposed to be shiny and healthy, but it isn’t always so. Besides the shampoo, I had to spend a bunch of money on a good conditioner. But then, summer’s not a very good time for hair. My hair looked quite dull, and the frizz made me look like a scruffy dog. So like almost every summer, I contemplated chopping off my hair to solve all these problems. 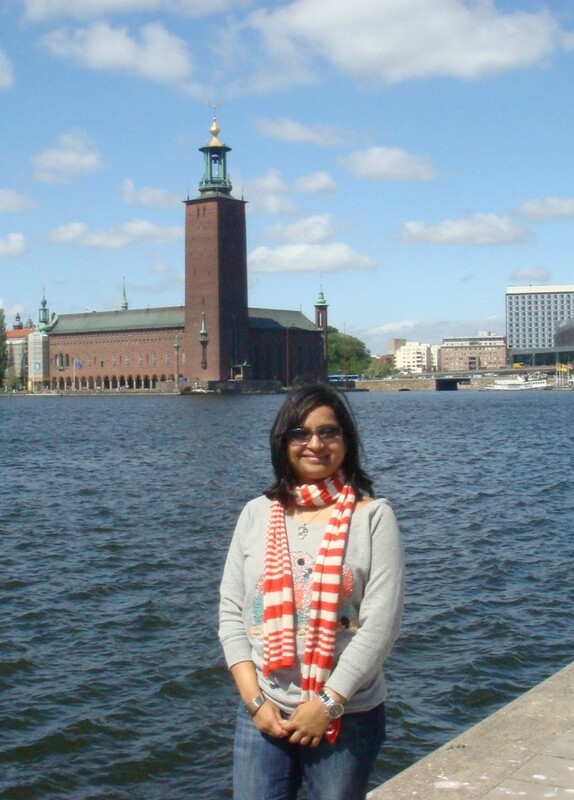 But when I discovered Dabur Vatika Enriched Coconut Hair Oil, I realized that long hair isn’t much of a problem anymore! Since I’ve begun using it, my hair feels and looks great. It’s got a lovely sheen, and it’s smooth and silky. I can’t remember the last time my hair felt like that. My hair now radiates “healthy”! And because it looks so good, I don’t think I’m chopping off my hair. 🙂 Why don’t you try Dabur Vatika Enriched Coconut Hair Oil and give your hair a much-needed boost this summer? The best expert on shaving is a man. 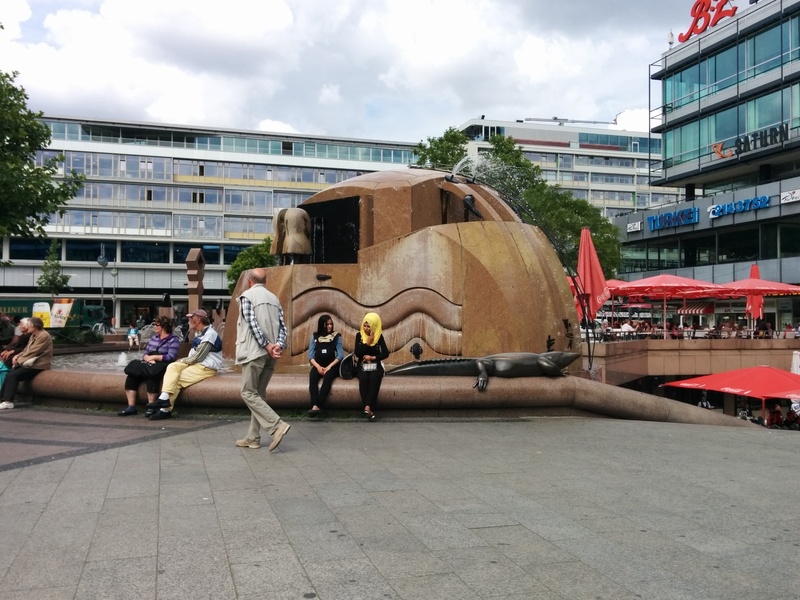 They shave every (working) day. 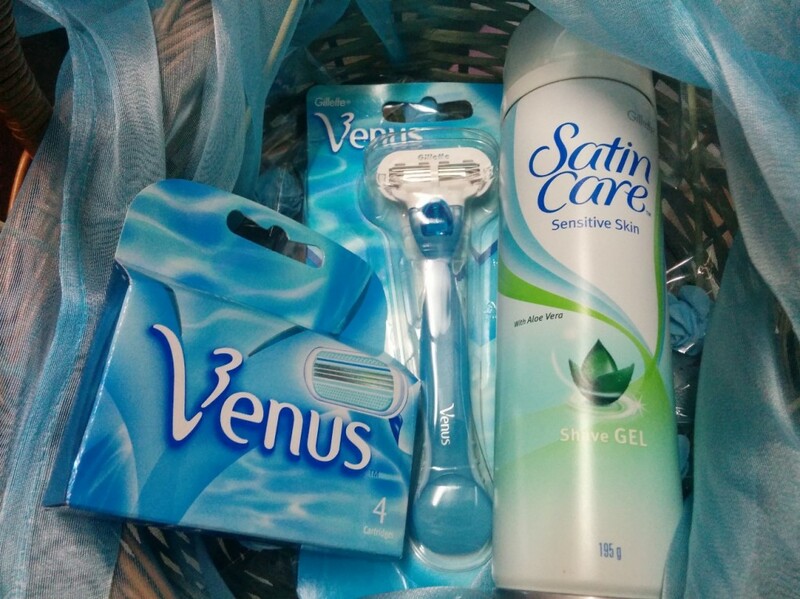 They’ve seen the bad side of it- nicks, cuts, uneven shaving… So who better to discuss shaving than a man, right? 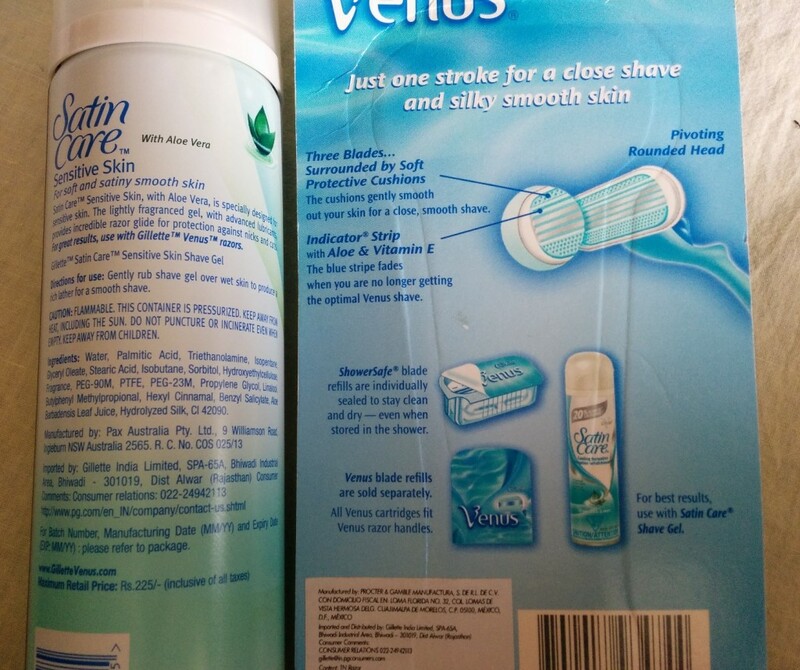 As you can see, men’s shaving kits are a bit different from women’s due to the difference in hair and skin textures. 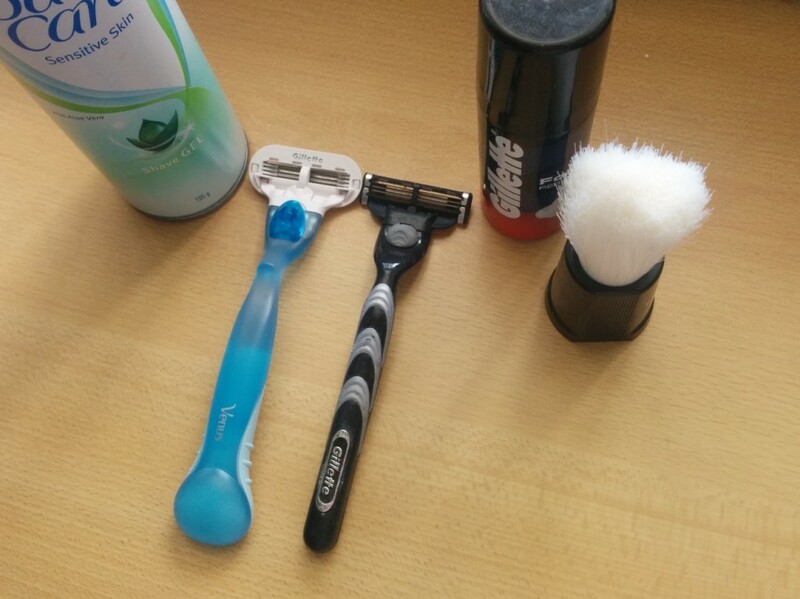 But men need similar tools– lathering foam and a razor with blades. Anyways, later that day, the husband and I compared notes on our shaving experiences. 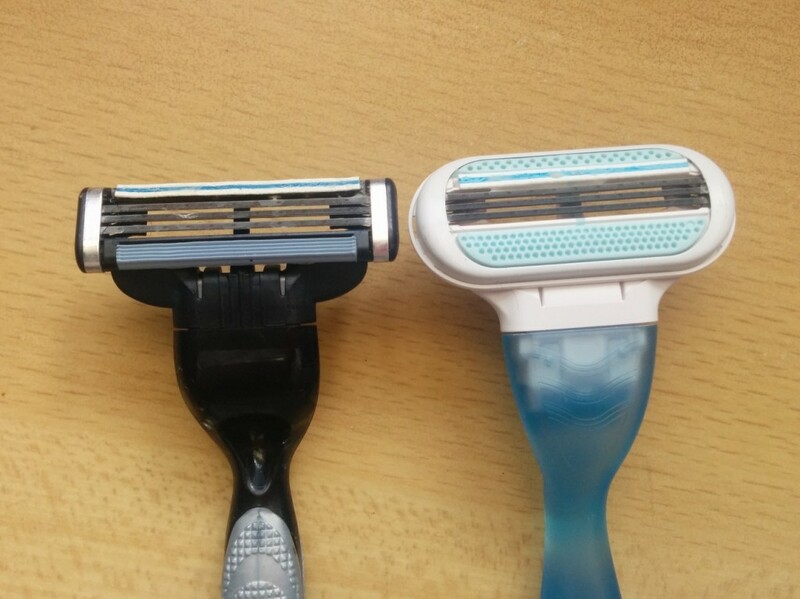 Here’s what’s similar and what’s different between shaving for men and women. 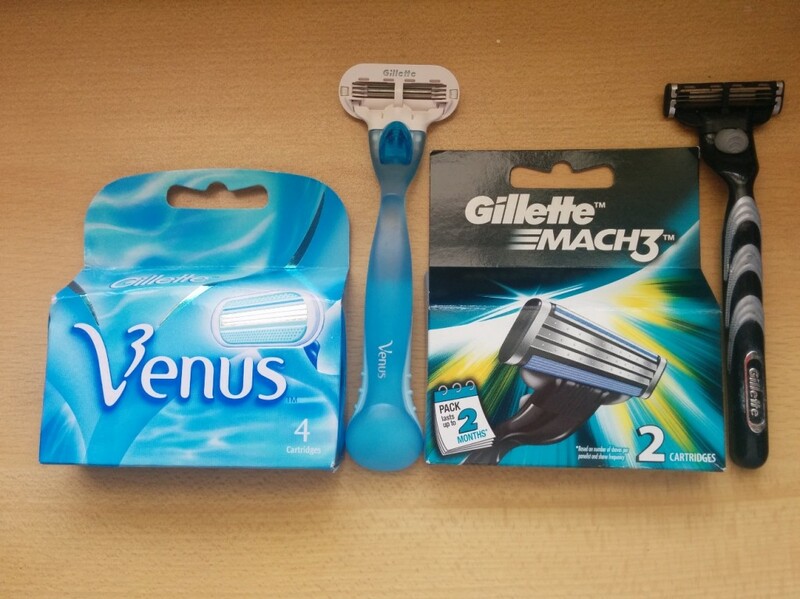 Nicks and cuts: Ladies, this one is entirely for men. Yay! 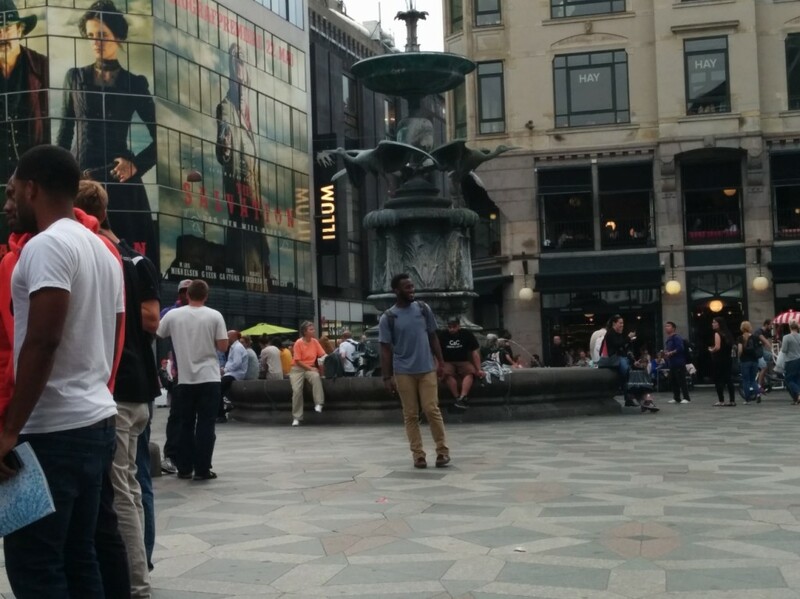 From teen boys to grown men, several men often cutting themselves while shaving. 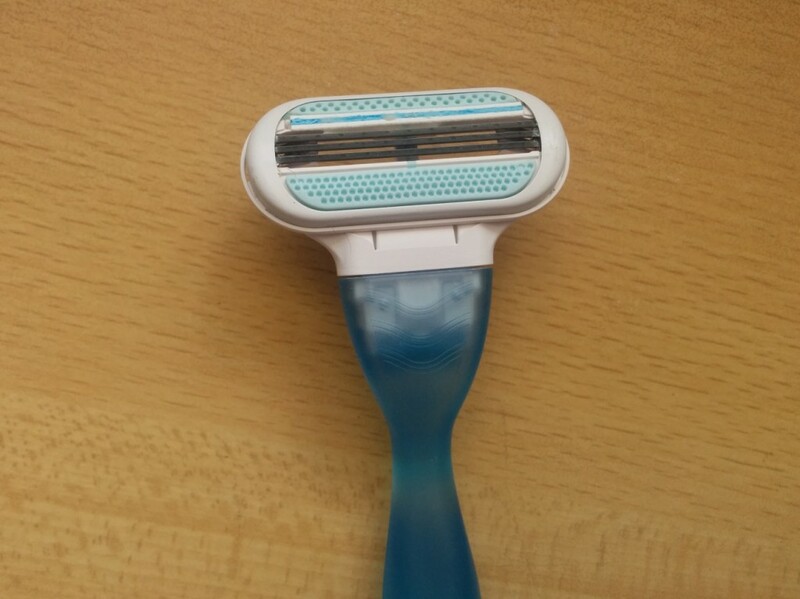 Thanks to the cushioning, chances of us girls getting cut while shaving are near zero. Hair change after shaving: S confirmed his hair thickness or growth never changed and I confirmed that too! My regrown hair is exactly the same as it was pre-shaving. Itch or No Itch? : Can you imagine men walking around with itchy faces every day? Me neither. Ditto with shaving for women- I didn’t get any itching. 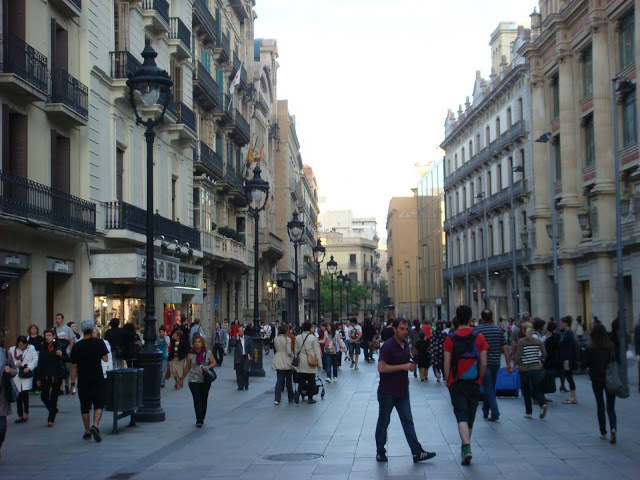 I did feel a slight discomfort when I wore a very skinny pair of jeans the day after I shaved my legs, but that was mostly because of the humidity and the thick fabric. And the discomfort lasted all of two minutes with no urge to itch. Bad skin: Nope, shaving didn’t affect his skin or mine (and mine is sensitive). Men love a good aftershave lotion (and so do women, wink wink), but women’s “aftershave” is nothing but a good moisturiser suited for their skin type and perhaps a soothing lotion like aloe vera or calamine lotion. Men don’t have other options to get rid of facial hair, like us women. I’ve tried waxing regularly and depilatory (or hair removal) creams for emergencies. Even after all these years, waxing is painful. And I’m still not comfortable going to local parlours or high-end salons alike (for hygiene reasons). As for depilatory creams, I’ve been careful with them but I have felt a slight burn when I kept it on for a few seconds longer than mentioned on the packaging. That’s the chemicals at work. 🙁 And the looooooong list of precautions that are printed on a cream’s packaging is quite unnerving. Seems like anything could cause a reaction!? I’ve shaved a few times already and I’m going to continue- it’s quick, comfy and painless. 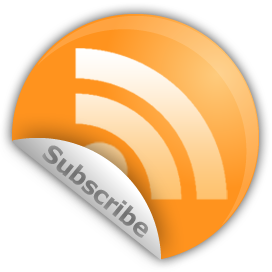 Time to #Subscribe to Smooth everyday! I tried shaving for the first time. What happened next surprised me. I wrote in my previous blog post that I haven’t shaved before and the panel discussion with Kriti Sanon, Dr Rashmi Shetty and Namrata Soni partly inspired me to try it out. Well, I did earlier this week and the results were completely unexpected. I’ve been moving homes, so my current place is an absolute mess and there’s been no time for personal grooming. Not a quick face pack at home or eyebrow grooming. And certainly no time for a wax. So when I had to head out for a ladies lunch in a sleeveless top I realized it was time for my first shave. 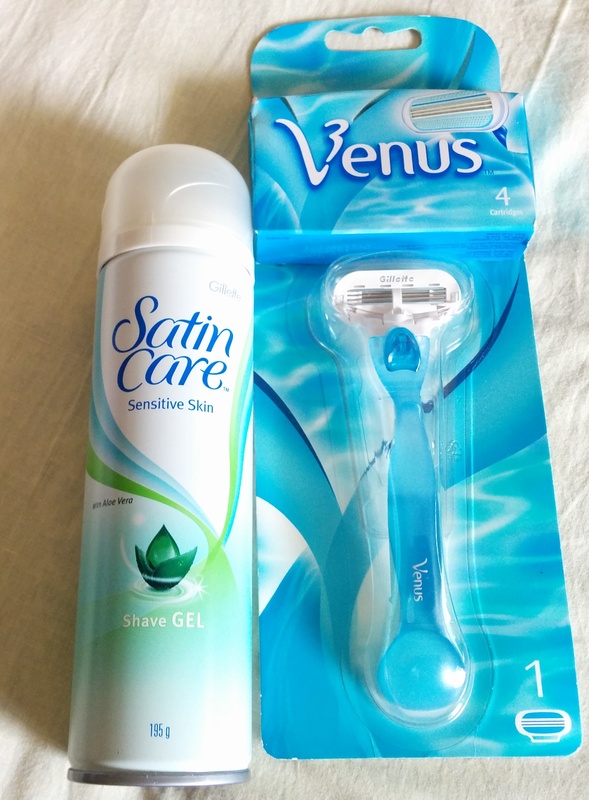 After quickly brushing through the notes I’d jotted down during the shaving discussion, I started out by taking a warm shower and laid out the tools—Gillette Venus shaving razor with cartridge and Gillette Satin Care shaving gel. 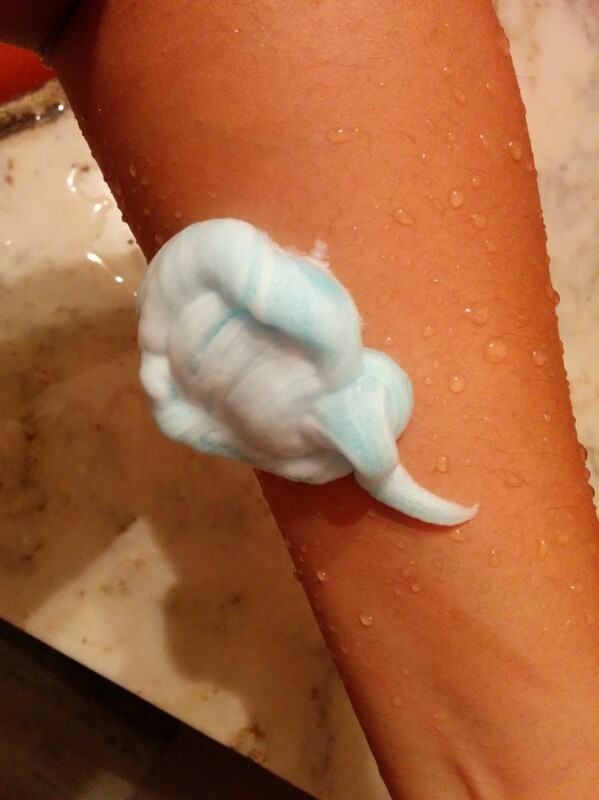 With my right hand I spread it all over my arm and voila- I got a soft gentle foam all over my arm. Then came the moment of truth. 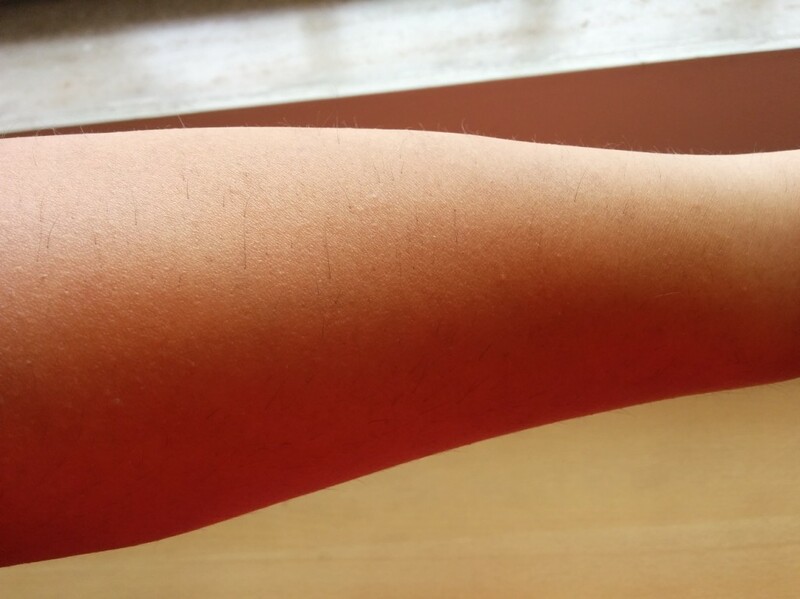 I shaved, drawing the razor through the length of my arm. I bit my lip, expecting a nick, cut or even a prick. But nothing. Really, didn’t feel a thing at all. All I felt was a soft pad brushing against my arm where the razor was doing its job. I moved in quick, long vertical strokes along my left arm and then my arm pit, rinsing the razor every couple of strokes to get rid of shaven hair. I was done shaving both arms in barely five minutes though I was shaving slowly (since I was terrified of getting cut). No pain, no gain? I disagree. 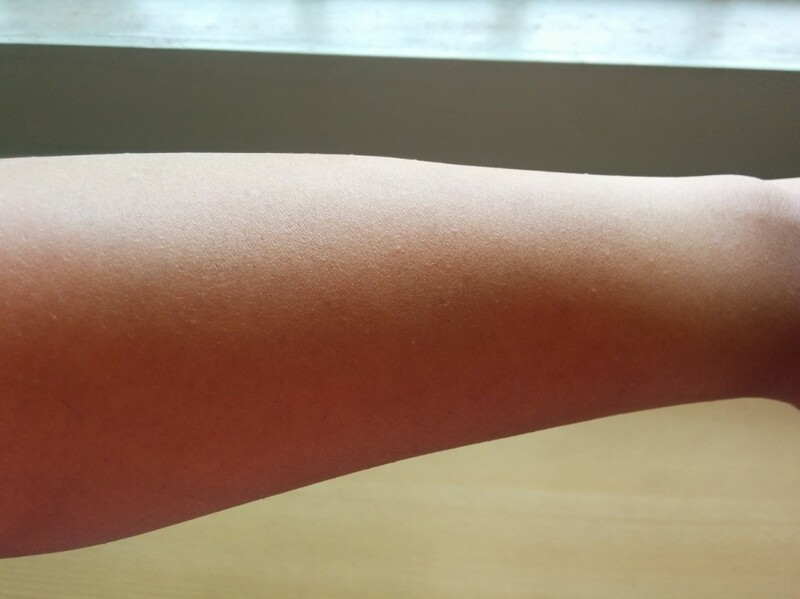 When I touched my arms after the shave I felt soft, smooth, clean, hairless skin. I followed this with my right arm and ended with a moisturizer and aloe vera on both arms. Did I miss out a few hairs? Yes, being the first time and all that. Did I pick or cut myself? Nope. As you can see, there’s no dryness, no change to my skin tone, no patches, no prickly hairs, no roughness or swelling, no redness, no irritation. Smooth, soft and clean skin. 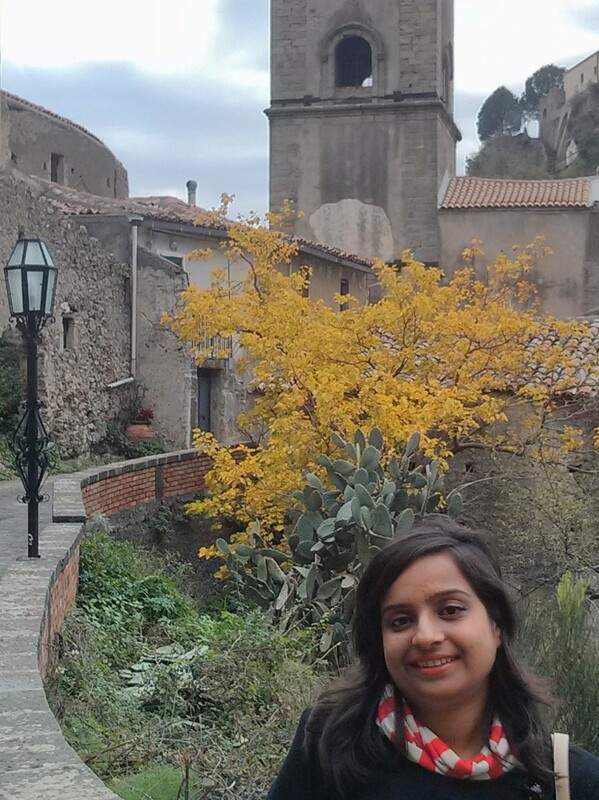 Then I wore the sleeveless cowl neck blouse that had been waiting for me and headed out for lunch.